In a culture of prim women taking turns about the room, Elizabeth holds fast to her principles and is determined to live an outward life that matches her inner self. Rejects a few husbands? Check. Talks back to a socially superior woman? Check. Willing to say she's wrong when her pride gets in the way? Eventually check. Elizabeth Bennet was born a couple of centuries too late... or perhaps right on time. Why You’ll Love This Character: Anne Shirley is passionate. Life is full and sweeping, even in the ordinary moments. Anne has multiple reasons to despair - and sometimes does - but even in her sadness, she's strong and intense. Her striving isn't about perfection but about coming fully alive and embracing what she loves - learning, teaching, Diana, and her beloved Matthew and Marilla. Anne isn't afraid to stand up for herself, to speak her mind, to epically dream, to be the best, and to sacrifice what she wants to help those she loves. Oh, to be like Anne. Wouldn't we love to have her passion - from the depths of despair to her lake of shining waters? Why You'll Love This Character: Scout Finch is curious. Her questions are thoughtful, direct, and meant to help her see the world from the perspectives of others, not just her own. 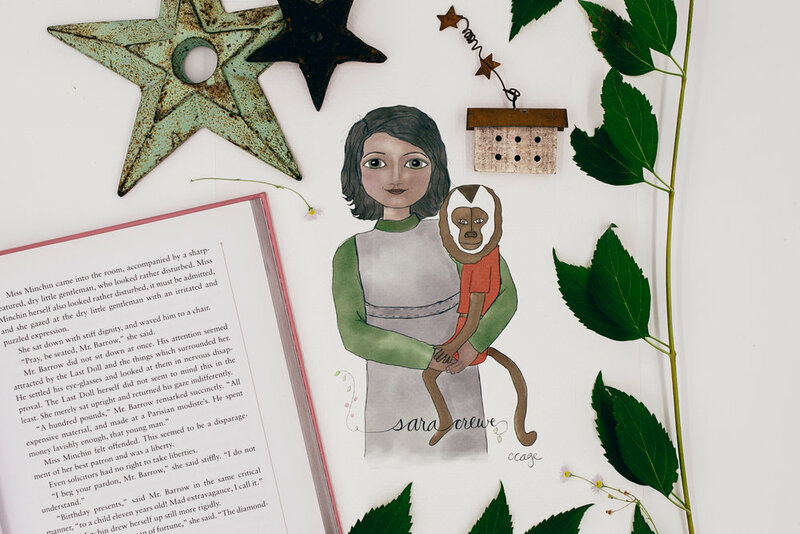 Scout is a young girl in the story but a grown woman as the narrator, and we get to see her childlike curiosity inform her adulthood on the page. She didn't always understand the answers to her questions or know how to reconcile when there weren't answers at all, but she saw people more than she sought answers, from Boo to Tom to her own father. I long to have the kind of thoughtful, courageous curiosity of Scout. A beloved character in a beloved book. Why You'll Love This Character: Sara Crewe is compassionate. She grew up in exotic India, had a heart connection with her father, and possessed everything she ever wanted. Even as a little rich girl, she saw people beyond the surface, but her compassion was tested when she lost everything at once - her father, her status, her possessions. Many of us would become self-centered and focused on our own woes, but Sara continued to see beyond herself, beyond her own situation. She treated her fellow servant, Becky, like a princess. She taught the other girls in the school that they, too, were princesses because of who they were, not what they had. What a gift to always see the best in people. 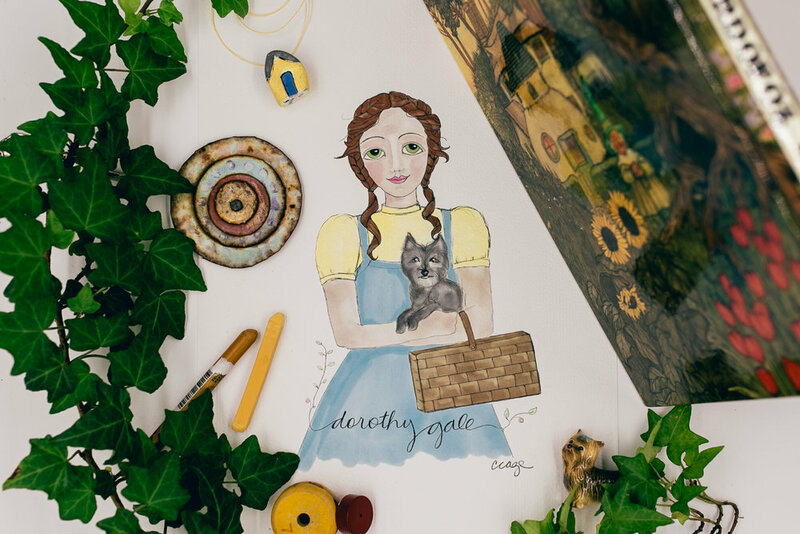 Why You'll Love This Character: Dorothy Gale is loyal. In The Wonderful Wizard of Oz, a cyclone tears through Kansas, and rather than hide in the cellar, she stays in the house to rescue her dog and consequently gets swept away to a terrifying magical land. And she's still not angry at her dog. Y'all, Dorothy is a saint. Each time she makes a new, weird friend, she cheers them on, goes out of her way to help them, and defends them literally to the death in the face of flying monkeys and a witch with anger issues. And underneath it all, she just wants to go home, to be with the people she loves and who have loved her so well. Her loyalty is the real magic. Why You’ll Love This Character: Nancy Drew is fearless. She has it all - success, looks, friends, a blue convertible - and could become complacent, sitting around with Ned and twirling her perfect blond hair. Instead, she uses her brain to step completely unafraid into situations well beyond her teenage years, especially in the 1950s. She's just a girl; what can she do? Enough to fill 56 beloved yellow-spined books, that's what. We all remember her climbing down hidden staircases, walking through haunted forests, and confronting whispering statues. Nothing scared Nancy, and that strength has stuck with us for decades. Nancy's fearlessness encouraged a generation of women to find their courage too. Why You'll Love This Character: Jane Eyre is steadfast. Jane, like many of the others in this collection, has a multitude of reasons to give up, to conform her nature to her situation, to lose herself in difficult circumstances. She's an orphan, an outcast, and has no qualities suited for a life of leisure. Her future lies in serving others, in making young girls become who they're capable of being, a luxury she was not given as a child. Despite being in the shadows of her own life, Jane remains strong, resolute, and unwavering in her own convictions. She chooses justice over happiness, duty over whim, and in the end, love over personal comfort, all with an admirable willingness. Why You'll Love This Character: Jo March is willful. She writes thrillers under a male pseudonym to get published, cuts her hair to pay for a train ticket, rejects marriage proposals, and is - as she says - hopelessly flawed. And we love her for it. Jo sees what has to be done and has no problem going against tradition to make it happen. Her stubbornness is as dangerous as it is powerful. And isn't that true of any of us and our faults? If nurtured properly, what some see as a hindrance can be the most effective part of who we are. Why You'll Love This Character: Anne Frank is hopeful. Anne is the only member of The Kinship Collection who actually existed, and her story is the most harrowing of them all. Forced to live in hiding for three years, behind a bookcase no less, she wrote in a diary that has become one of the most recognizable pieces of literature to date. She was a gifted writer and an excellent observer of people, but the most compelling thing about Anne was her hope. Of course she struggled with despair, spending her adolescence hiding to stay alive, but her words are full of concrete dreams to be a journalist, to go back to school, "to be useful or bring enjoyment to all people, even those I've never met." A girl with dreams is a girl with hope.